The metal Cantilever Floor Lamp by Fundi has a finely engineered design that makes it perfect for a reading nook. 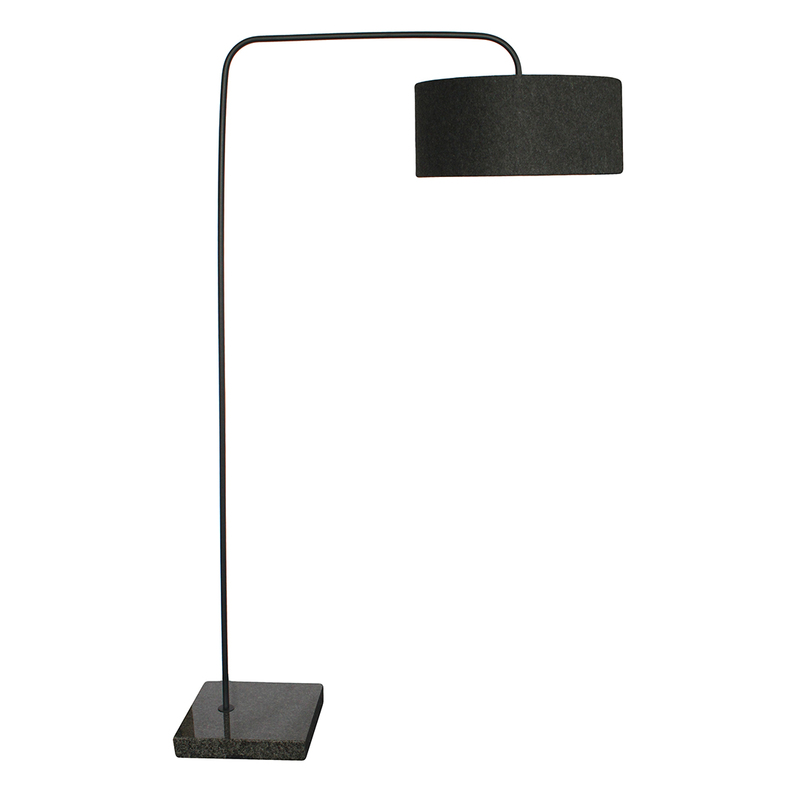 The powdercoated mild steel tubing structure is weighted down with a solid black marble base. The curved cantilever top is not only beautiful but also very useful alongside a reading or feeding chair. The lamp is wired with a SA lampholder and 3.5m moulded cord set with foot switch and three prong SA plug, and has a Bayonet/B22 Lampholder. The drum lampshade is covered in dark charcoal felt and lined with light grey felt on the interior. The unique lamps by Fundi are designed and made in South Africa.